Summer may nearly be over but we thought it would only be right to mention our favourite items that helped us through those hot summery days. Whether on the beach or in the kitchen these items were the highlight of our summer. Starting with the Myakka cotton throw. Possibly the most versatile item featured. Set to good use as a beach towel but also as a blanket in the evenings; you cannot go wrong with one of these. Even better with winter creeping around the corner, this throw acts as an ideal wrap for those cold winter nights. Tribe sunglasses bring the cool factor, putting an ethical spin on a classic look. We love the fact that each pair is made from a unique block of wood; no pair is the same and that’s awesome. Po-zu coconut oil has many uses. It’s an (edible) shoe cream, cooking oil but also doubles up as an aftersun. It’s versatile stuff and this summer we used this gentle soil association certified organic coconut oil it to treat an unexpected sunburn! A must have. Of course no summer would be complete without a book. This year I returned to a classic, Catcher in the Rye. J.D Salinger’s controversial book that continues to capture my imagination. 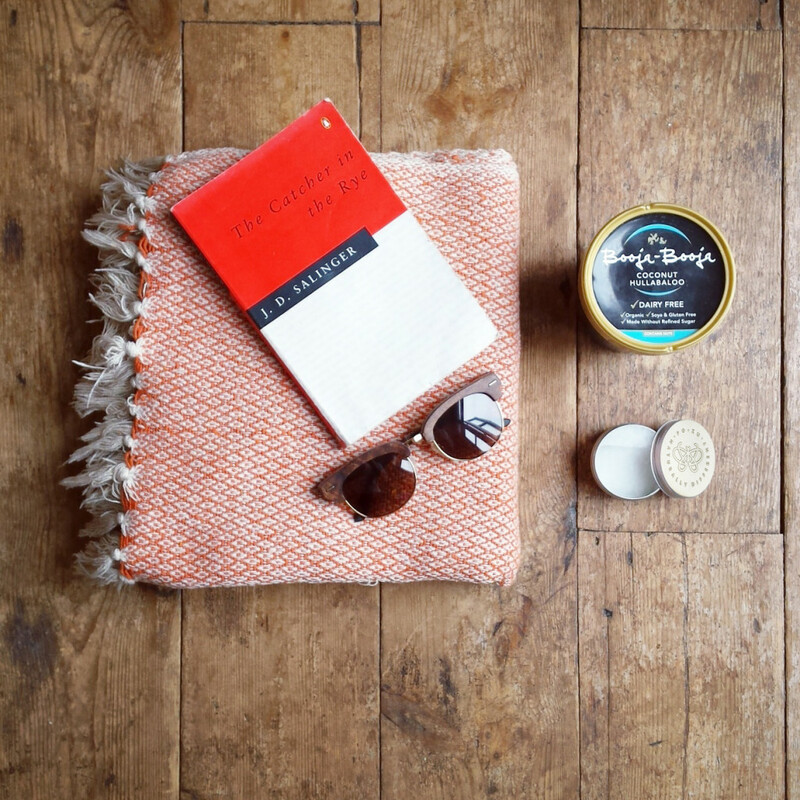 Each of these summer essentials products were ethically sourced and fantastic in their own right. At a greener life for us, we had a fantastic summer and we hope you did to.